I joined the 6:30 mass as usual. This is the schedule which I anticipate most since the priest is always smiling and interactive. Fr. Nolan Ke is so good at story telling true to life experiences that at first I have doubts if they were really true which just happened significantly to him for a week but thinking that he’s a priest for God’s sake I drop the doubts since he’s in the church after all. This is the first time I happened to sit in the closest row from the podium since me and Nysh is desperate enough to get a seat after hours of workout this day. So we make our way to the vacant space, I’m seated between two Christian strangers thus I’m a bit worried since I know Fr. will again make the dominating “say it to the one beside you” every after he stresses the phrase he wishes us to remember and lived by. I’ve come to like it and that could be the main reason why I like to be preached every Sunday to be able to remember His words along with every person who listens. The sermon was about All Saints Day. Well I actually don’t remember the verses read during the point where I should be listening but the say-it again made it happen which echoed into the walls, YOU’RE A SAINT; I DON’T WANT YOU TO BE SAD… These were the words only God can utter but as the content of the homily progresses it speaks for ordinary people who lived and living the likes of a Saint. Fr. said being one must acknowledge God first to be able to think of others. I don’t know if these were the exact words since I have bad memory but it entails that having a good, constant relationship to Him makes a person humble, secure and with full marks of conviction in himself that he/she may now see others’ points of view thus he/she began to care. I can also relate with Fr. Nolan’s last story about Dr. Teo’s life which spread all over the internet after he died last October after being diagnosed with stage 4 lung cancer. His story was known to the public since he made a talk to his fellow Doctors during a commencement exercise. He pointed out his bittersweet wakeup call as Cosmetic surgeon who has it all like he then wishes to have a big house then to ride classy cars… He all got them by the mere luxury out of vanity that he himself is inclined to. He’s a gym buddy wherein he wants to be fit and presentable always that as he undergone series of examinations he still doubted the idea of him living his remaining 3 months to live. We actually thought that being won over by earthly things are just humanly to commit that we sometimes forgot to be sincere with our deeds. Everything seems to be so important because it has value but if we compare it with the other valuables we can all see some great difference. So with his remaining days he began to spread his real life experience that having to have all doesn’t mean you’ve been blindly favored in God’s eyes but rather having Him in you, the faith he brings for us to hold on to that’s for him is the most important thing to do. the value for cellphone is already given but checking your phone during a mass is undoubtedly a disgrace to whom who is much valued. There I pondered and prayed for the first time that I want to be like Him. I want my life to be meaningful to not only in my own thoughts but also in the eyes of the people I’m connected with. Also that was the first that I haven’t thought of including love life into my personal prayer but instead I prayed for a characteristic I’ve envied since then to a college friend. (Remember Dhet in my Open Sesame post.) 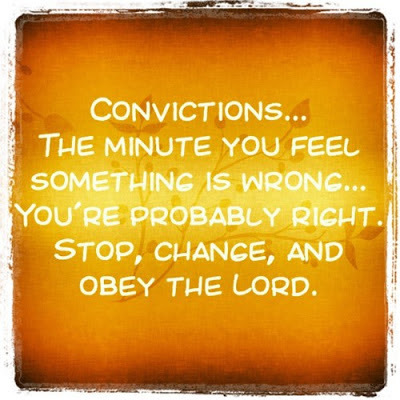 The gift of conviction is what I would want as a gift I wish to realize this Christmas and I’m hoping it would be in advance. I wish to be firm and true with my actions aligned with my heart and mind’s content. I wish it for everyone too so that as we grow in life we can also grow in faith. Yeee! Up next, WORLD PEACE!!! ***One more thing worth sharing! Fr. Nolan acknowledges thru smile my earnest prayer during the Ama Namin and I smile back of course and after that I got the feel of my face getting hot from controlling the forming tears in my eyes. So after the mass I lined up with kids asking for Fr.’s blessings. Hahah! I really felt God’s words as I attend the mass.